One of the toughest parts of planning a family reunion is finding accommodations for everyone that is planning to attend. The great news is that Large Cabin Rentals has enough room for families of all sizes! Our cabins range from 4 bedrooms up to 18 bedrooms so that all of your family members can comfortably spread out through the cabin. It is much more fun and convenient to have the entire family under one roof for your Christmas reunion rather than being in different hotel rooms throughout Pigeon Forge! A highlight of any family reunion is the time spent gathering for dinner, so our group cabins in Pigeon Forge TN feature fully equipped kitchens for efficient meal preparation! Our kitchens feature all of the modern amenities of your home kitchen so that you can prepare your favorite holiday dinners, bake Christmas cookies and do anything else that you want! The only thing that you need to supply are the groceries that you will need throughout your stay. We have plenty of local grocery stores in Sevierville, Pigeon Forge and Gatlinburg where you can pick up supplies before or during your trip. The cabins from Large Cabin Rentals are jam packed with great entertainment for family fun throughout your Christmas reunion! Many of our cabins feature a theater room where you can bring the excitement of the movies to your cabin, complete with surround sound and a massive screen! This is an awesome place to get together with your relatives to enjoy everything from holiday movies to the latest blockbusters. Our cabins also feature game rooms where you can play anything from foosball and billiards to video arcade games. 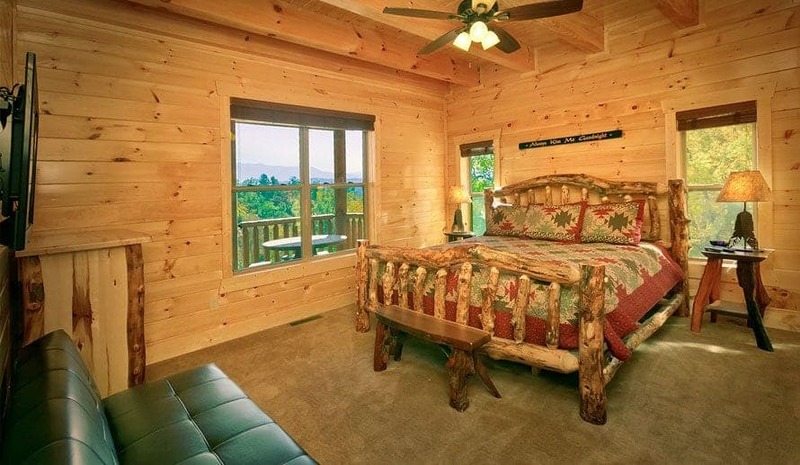 From hot tubs and fireplaces to flat screen televisions and mountain views, there is something for everyone to enjoy at our group cabins in Pigeon Forge TN! Our large group cabins are situated in a perfect location in the Smoky Mountains where you are just minutes from all of the exciting attractions in Pigeon Forge and Gatlinburg! This makes it convenient for your family to enjoy local Christmas festivities such as Dollywood’s Smoky Mountain Christmas and the Pigeon Forge Winterfest of Lights. You can even take a winter hike through Great Smoky Mountains National Park which is open throughout the year. We are also close to many great restaurants, show venues, gift shops and anything else you might want to see or do in the area! 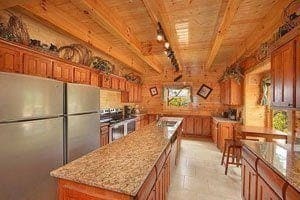 Check out all of our group cabins in Pigeon Forge TN today to plan your Christmas reunion in the Great Smoky Mountains! We look forward to seeing you soon at Large Cabin Rentals! Celebrate Christmas in the Smoky Mountains with a Holiday Trolley or Train RideCheck Out Our Two Exclusive Cabins Where You Can Enjoy Your Own Private Miniature Golf in Pigeon Forge!